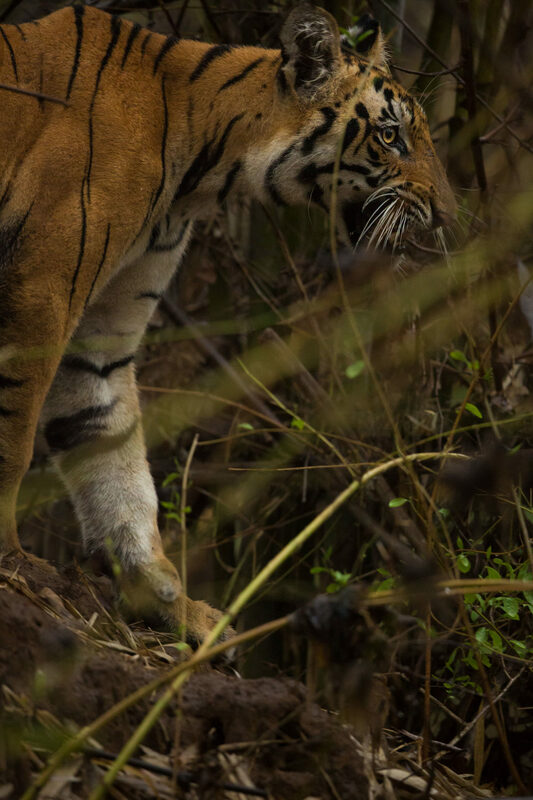 I've just returned from a trip to Tadoba Andhari Tiger Reserve with Ashish Parmer. We had the great opportunity to get up-close and personal with a sub-adult cub while she went adventuring away from her mother and siblings. 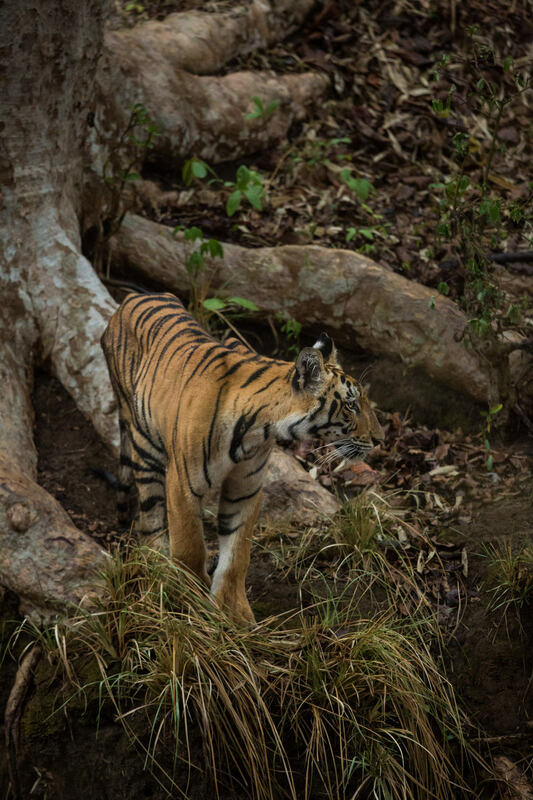 We (Jean) spotted the cub on the other bank of a dry river. Likewise she spotted us too! ... but next thing we knew, she had crossed to our side, and glanced up at us. Her gaze filled with youthful curiosity. She climbed up our bank, emerging next to us. No fear, no hesitation. We moved on, and she followed. Calm, peaceful and eligant in light evening drizzel. Stopping only to strike a pose. 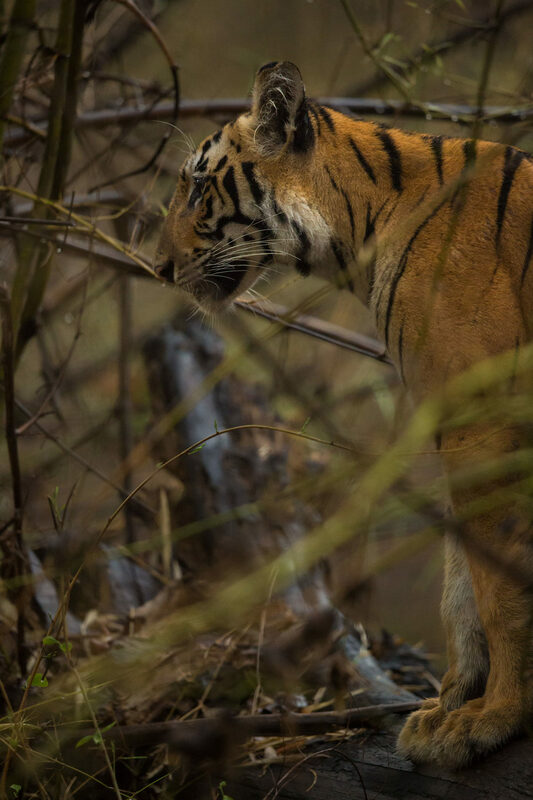 She moved off the road, and through the bamboo thicket. Stripes among stripes, nature among nature. Until finally, after her little solo adventure, she left us, heading back to the river, and back to her mother and siblings. 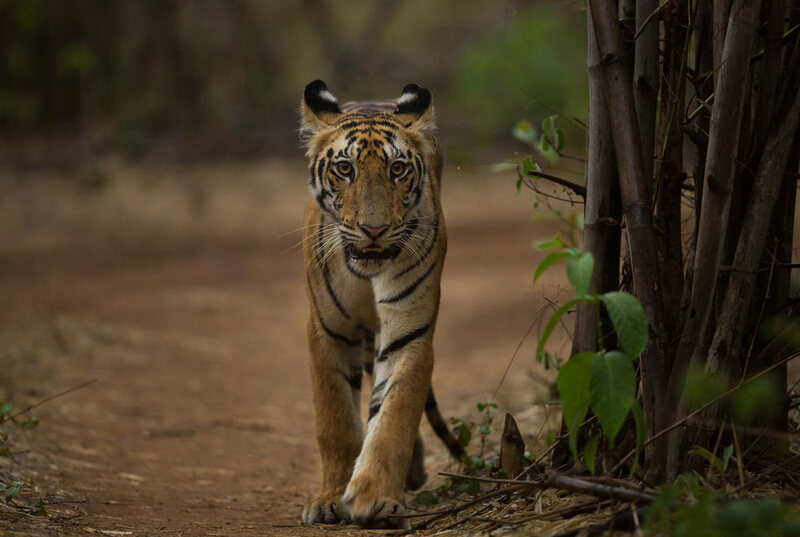 I foresee her joining the ranks of the boldest tigresses in Tadoba Tiger Reserve.